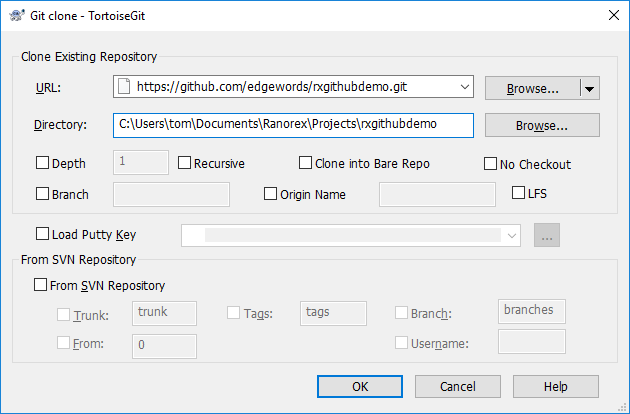 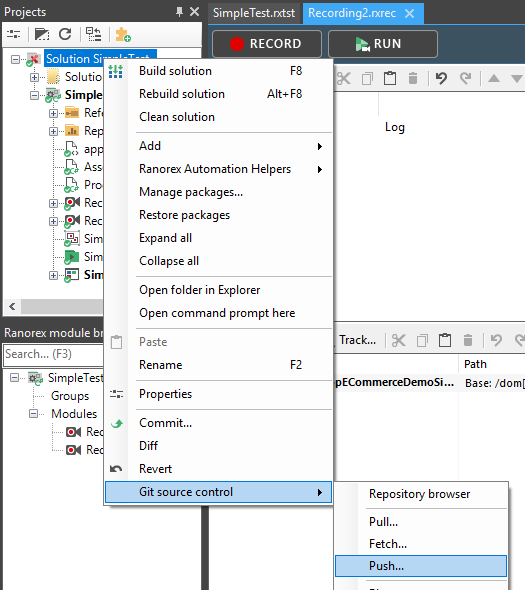 In this tutorial, we will be walking through the process of setting up Git/GitHub with Ranorex. 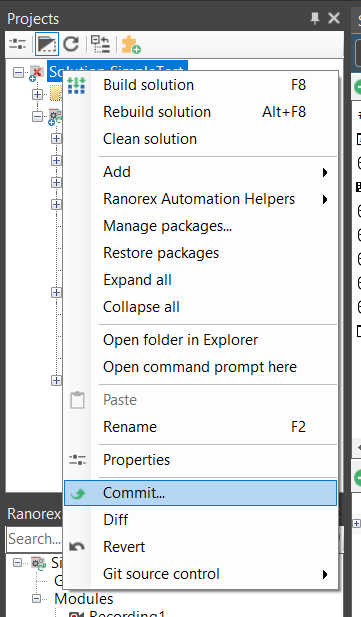 This demo will be using Ranorex 8.3 but this will work on most recent versions of Ranorex too. 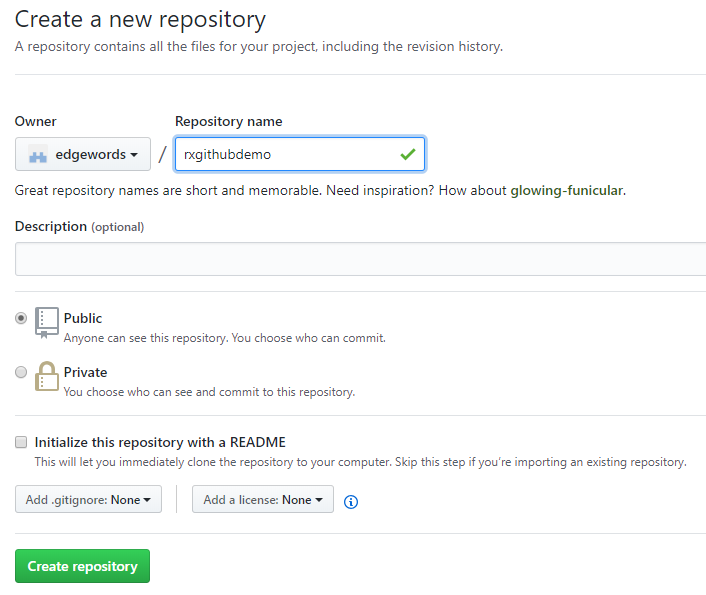 Create an empty GitHub Project at Github.com (Do not initialize!). 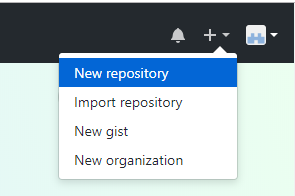 This will be the Master Repository that everyone with push & pull changes from. 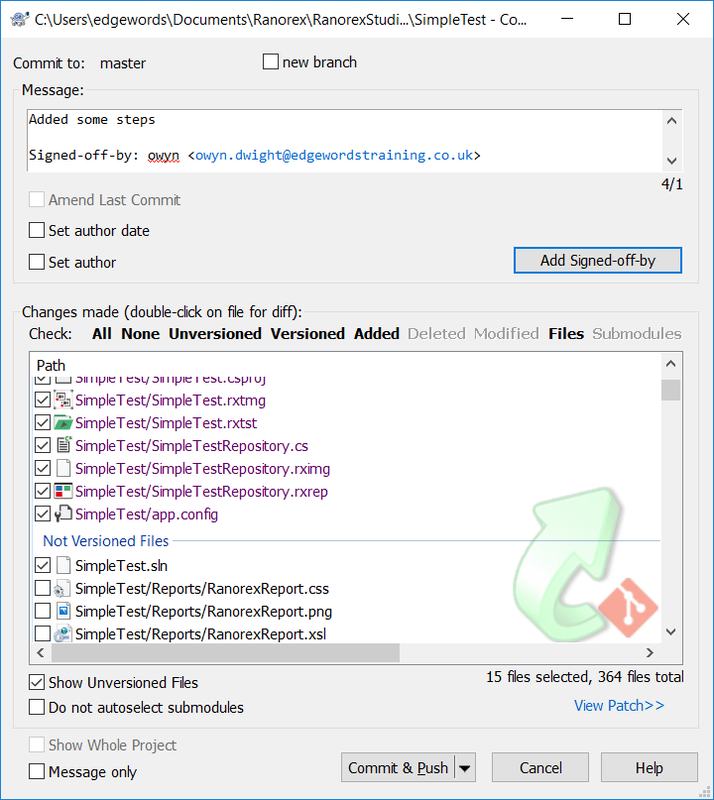 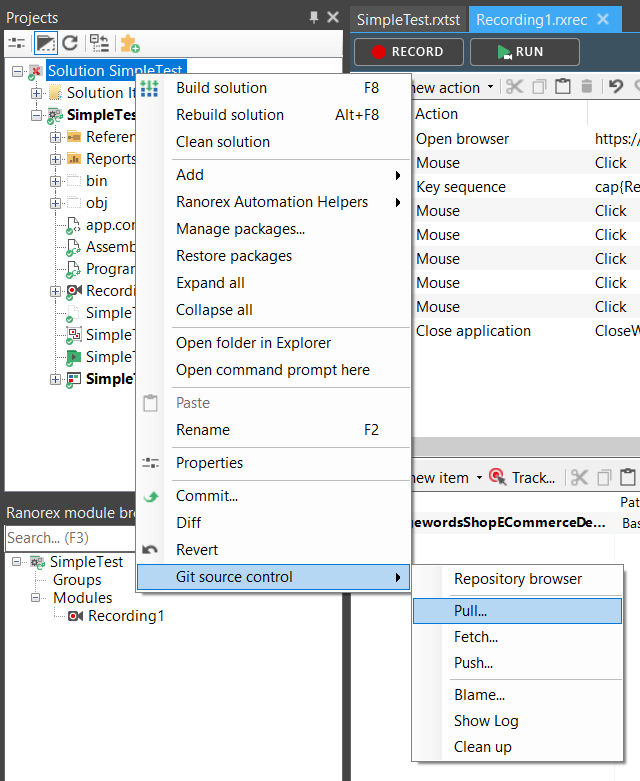 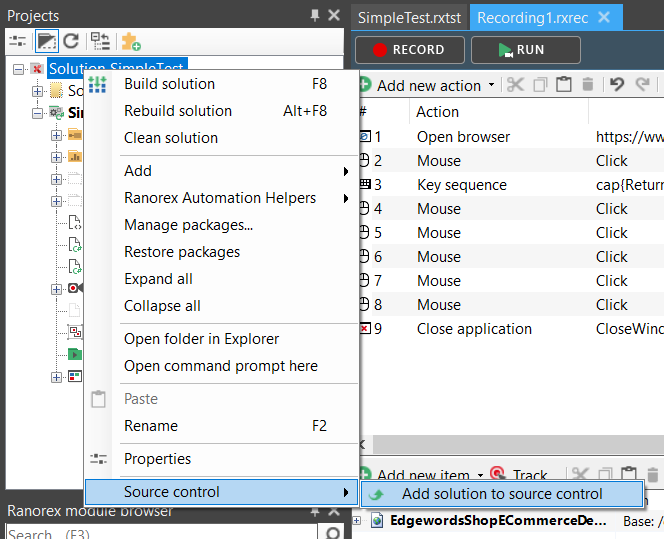 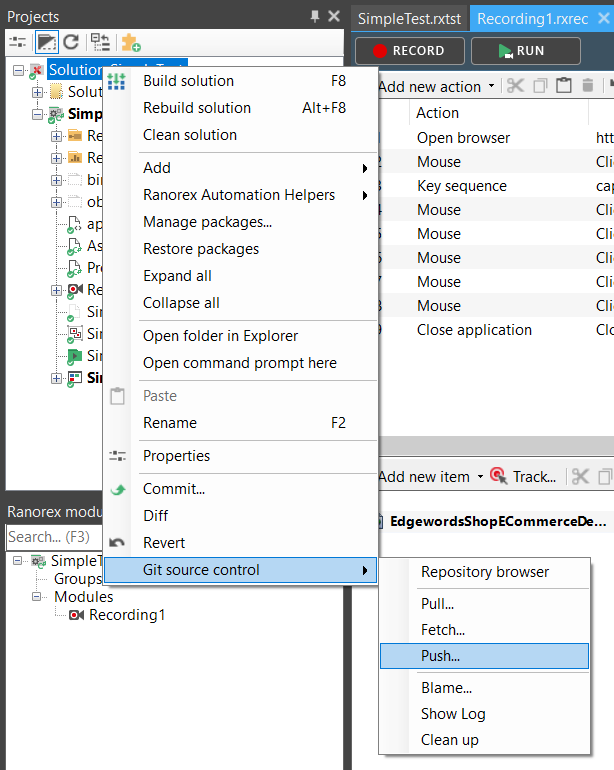 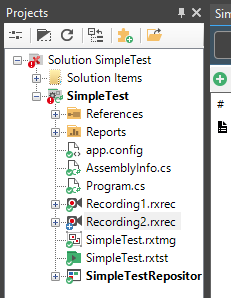 Project is now open on Tester 2’s local Git Repository, Tester 2 can now add some extra modules/tests etc. 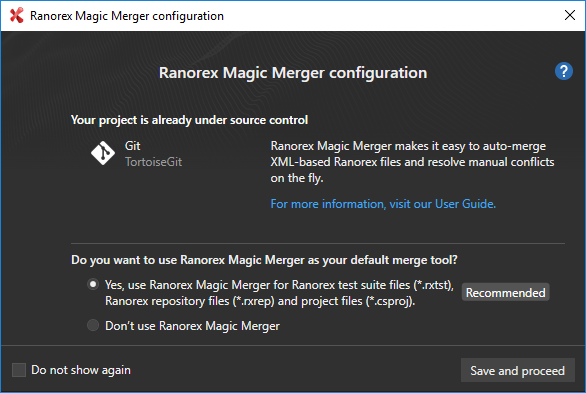 Now we are using GitHub as our master repository, when testers open Ranorex they open their project locally, then Pull any changes down from GitHub, add to the project, commit the changes locally and then Push the changes up to GitHub for others to Pull.